Yesterday Governor Cuomo shared how he believed that “failing schools” (failing based on his rigged tests) should receive the death penalty. Sad Cuomo uses “death penalty” when speaking about schools. Especially insensitive on Labor Day weekend and as school year starts Shameful. But Cuomo has ratcheted up the level of animosity and hostility here by using such inflammatory language. It is high time we return the favor. If Governor Cuomo thinks it is time some schools be given the “death penalty” for struggles that are often beyond their means to fix, then it is time for teachers of all political ideologies to get together and help pull the plug on the 2014 Cuomo re-election plan and the Cuomo 2016 presidential plan. Andrew Cuomo is a thug and a bully and a crook, that we’ve known for a while. Now, after the “death penalty for schools” statement, he is also a war criminal against public schools. It is time to put an end to his Reign of Terror. 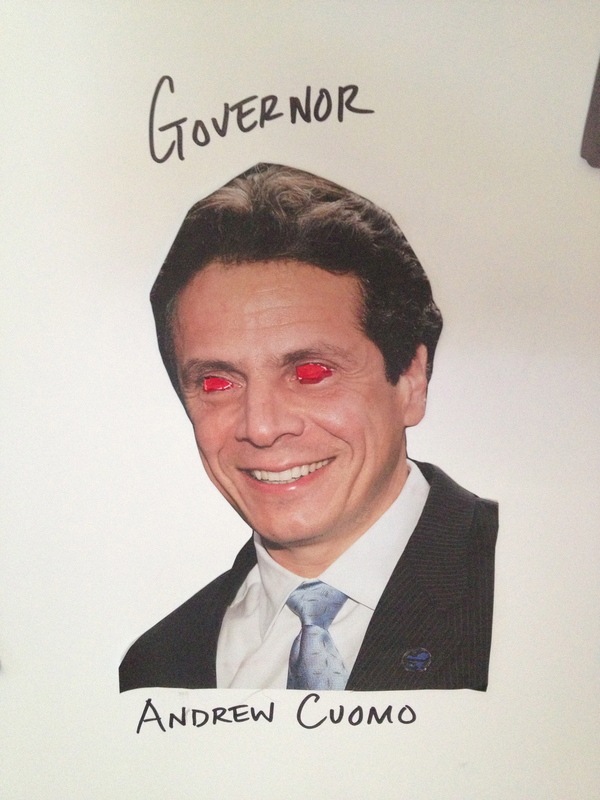 This entry was posted in General and tagged Cuomo, reality-based educator. Bookmark the permalink. All 695,000 NYSUT members and their families need to vote for WHOEVER the other candidate is. CUOMO MUST GO! We can do this!